Nivea have recently launched their Sensitive Range, designed to be gentle to the skin while still providing other skincare benefits. The range contains Sensitive Cleansing Wipes, Sensitive Day Cream, Sensitive 3in1 Micellar Cleansing Water, Sensitive Night Cream and Sensitive Cleansing Milk. They contains anti-inflammatory, antioxidant licorice extract to help defend the skin against irritants, Dexpanthenol to allow the skin to retain moisture and promotes skin cell regeneration, and Natural Grape seed oil to provide intensive care and to reduce dryness and tightness. 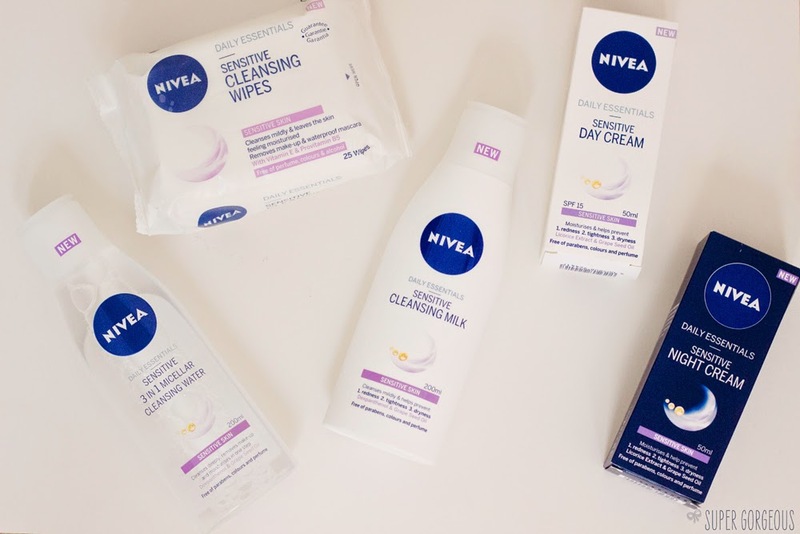 Nivea have given me TEN sets to give away to my lovely readers! If you would like to be in with a chance, please fill in your details in the Rafflecopter Widget below.